2012, what a year! And in just a couple of hours it will have ran its course and we will rush into a new and exciting 2013. What will happen? I have no idea! But one thing I do know for certain is that a lot of things happened in 2012, both good and bad things. Well mostly bad things, more talking, more stalling, more death, more destruction, and a little blue planet thatâ€™s rushing faster and faster towards the cliff-edge of planetary catastrophe. Here are the most important, stupid and interesting stories - related to our climate and environment of course - that happened in 2012. Itâ€™s my own list so it will be fairly subjective and limited in its scope. You are more than welcome to add to the list below in the comment section. Famous capitalist Donald Trump made the news when he bluntly demanded in front of Scotland's parliament that they needed to stop the plans for the construction of an offshore wind farm. Besides spoiling the view at his exclusive new $750-million-pound ($1.2-billion) golf resort, Trump claimed that the wind farm would be bad for the economy and the environment. Somehow he forgot how he had earlier ordered the bull-dozing of a rare bird habitat to make way for that very golf course. In an unprecedented feat of action against climate change, Hawaii decided to ban the use of plastic bags. North Carolina went in another direction and made it illegal to say that sea levels are rising. 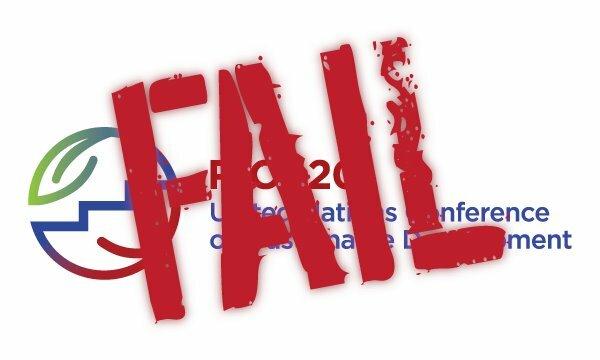 Rio+20, United Nations conference on sustainable development, which took place in June resulted in a disappointing flop. Sure, expectations were low. But people did hope that the summit would be able to begin a transition towards a more sustainable world economy which would merge economic and social goals, such as eradicating poverty, with environmental needs and concerns. The non-binding agreement which was signed at the end of the conference was met with strong criticism from environmental organizations. Greenpeace called the agreement â€œpatheticâ€, Oxfam said it was â€œa dead endâ€, and the WWF said the whole conference was â€œa colossal waste of timeâ€. The Rio+20 agreement acknowledges the seriousness of the global environmental crisis as well as the importance of building a new and more sustainable economic model. But it's a non-binding agreement with no real plan or goals on how to do so. Most of the blame for the failure was directed against Canada, USA, Venezuela and Russia. The US experienced record heatwaves, catastrophic wildfires and droughts which left people dead and crops ruined. As a result, more Americans than ever started to realize the dangers of man-made climate change. Canadaâ€™s conservative government, led by Prime Minister Stephen Harper, continued its war on the environment. Bolivia on the other hand decided it would recognize nature as a living dynamic system, which grants it comprehensive legal rights that are comparable to human rights. Greenpeace issued a damaging report on Swedish nuclear safety â€“ or rather the lack of. According to Greenpeace, the security problems at the aging nuclear reactors in Sweden are so urgent that they need to be shut down immediately. Only a week after the report was published, Greenpeace humiliated the nuclear industry and responsible ministers when more than 70 Greenpeace activists performed a peaceful stress test at two Swedish nuclear power plants. National elections took place in the USA. The election debates ignored the climate crisis, marking the first time a climate issue wasn't raised during the official debates since 1984. 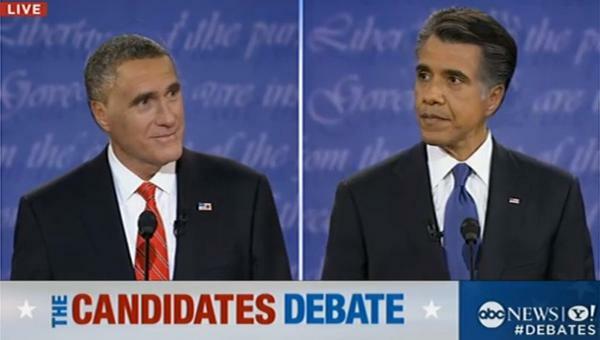 In the debates, Mitt Romney, the Republicans candidate, was busy attacking the President for not doing enough for the fossil fuel industry, and Obama proudly talked about how oil and gas production was at all-time highs and that he would "continue to open up new areas for drilling" and make natural gas "a priority". And Romney actually said he liked coal, and that if elected he would make sure that we continue burning dirty and climate-killing coal. Hurricane Sandy swept in and devastated regions in the Caribbean and America leaving hundreds of people dead in its trail and causing billions of dollars in damages. 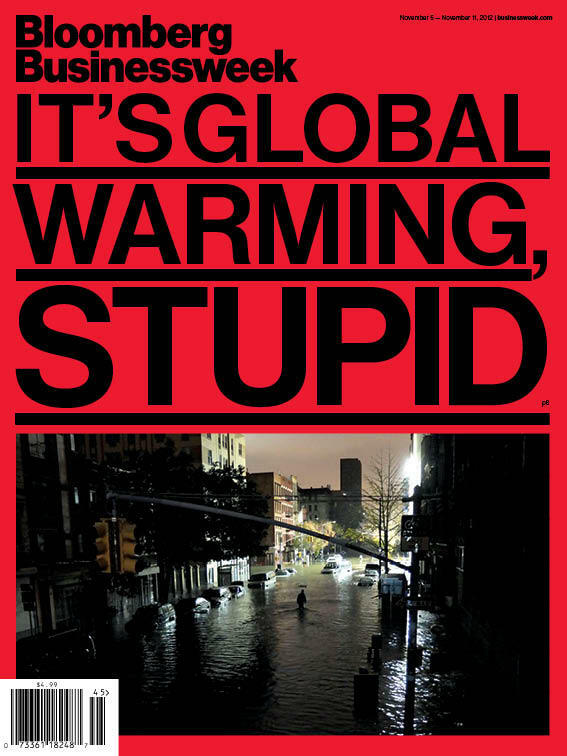 Shortly after hurricane Sandy, Bloomberg BusinessWeek issued this cover story: Its Global Warming, Stupid. Another round of UN talks was held, this time in Doha in Qatar. Expectations and hopes for the COP18 conference were at an all-time low. The media pretty much ignored the talks and most people had already lost their hopes for anything meaningful to come from these climate conferences back in 2009 when COP15 was held in Copenhagen, Denmark. The climate summit in Doha was yet again characterized by obstruction, a complete lack of ambition and a severe inability from our world leaders to adhere to the warnings of climate scientists. But what really came out of COP18? Well, the Kyoto protocol got extended. But the protocol, the only legally-binding plan for reducing greenhouse gas emissions, failed to include the world's biggest emitters making it pretty meaningless. But the big thing coming out of the climate summit was the text on Loss and Damages. Itâ€™s basically an agreement in which vulnerable nations may receive funds from carbon polluters for loss and damages as a result of climate change. The text says that high emitting nations have both an ethical and financial obligation to pay for the damages caused by global warming in other regions of the world. This list is far from a complete summary of 2012, many other fascinating and thought-provoking stories from this year are obviously left out. So please, let me know which kind of headlines and stories from 2012 that you think were the most important ones? Hello Simon, I agree with your concerns for climate change and I also think that electric cars are the answer to prevent climate change (especially as renewable energy sources and battery technology expand). Would you mind reading my blog at http://www.blogger.com/blogger.g?blogID=7972602251565051490#editor/target=post;postID=6705250375000418279;onPublishedMenu=overviewstats;onClosedMenu=overviewstats;postNum=0;src=postname ? I would like to have your perspective.